Recently I went through my archive and when I saw a folder called 'Trappist' I knew I wanted to share this experience with you. My friends in The Netherlands support elderly people in the local community and when I'm there I try to help them as much as I can. Once a year we plan a day when all volunteers meet and spend some quality time together. We organize some interesting program and finish our day with nice potluck dinner. 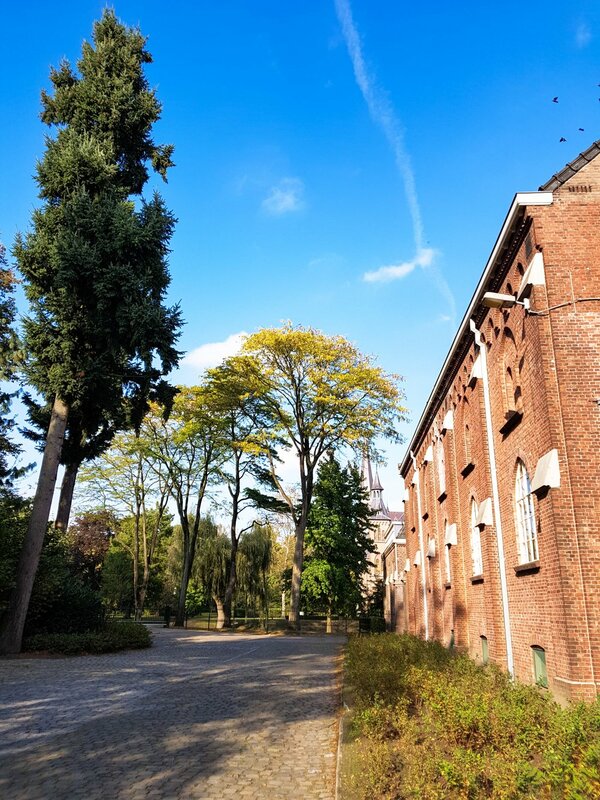 Two years ago we went to Onze Lieve Vrouw of Koningshoeven Abbey and its famous brewery in Berkel-Enschot. In 1881, french Trappist monks came to this moorland with a sheep barn. They converted the sheep barn into temporary monastery and on the 5th of March they celebrated the first Holy Mass there. This became the official establishment date of the abbey. 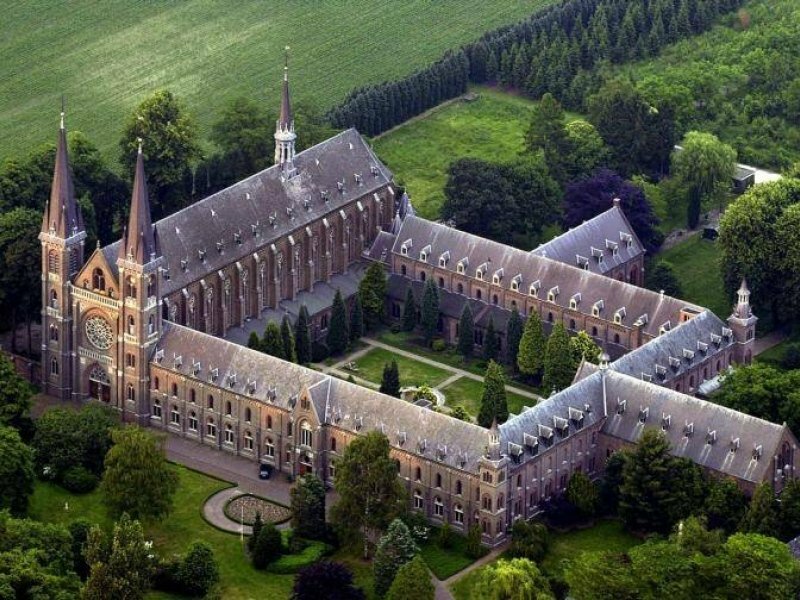 The Trappists wanted to support charitable causes but they needed some income to achieve this. This is why they established the brewery next to the old abbey in 1884. They became successful and within ten years they earned money to build their new abbey as well. 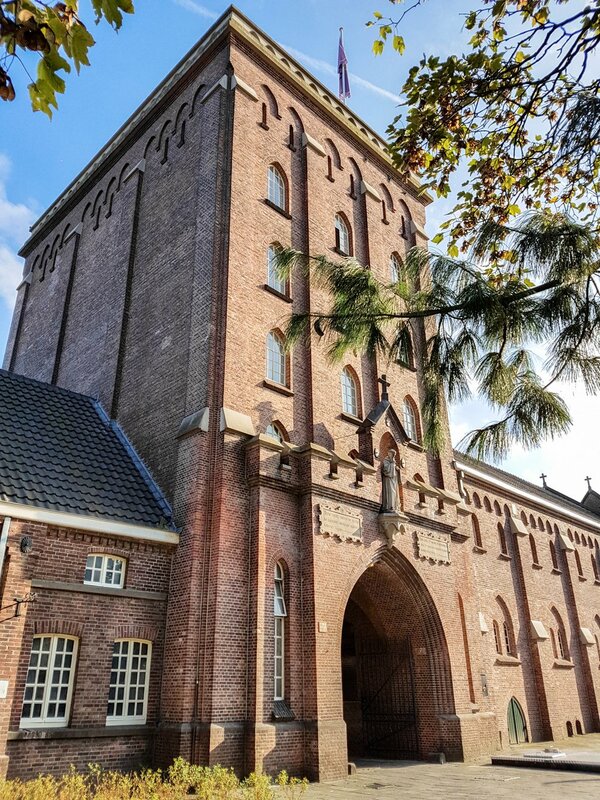 Nowadays, The Koningshoeven Brewery is one of the few true Trappist breweries in the world. 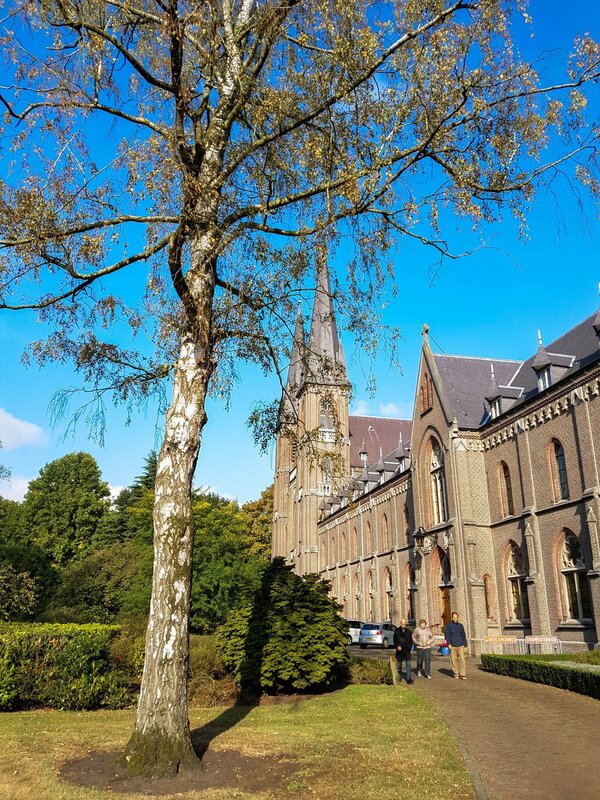 It's because the authentic Trappist beer can only be brewed within a Trappist monastery by monks or the process must be at least supervised by them. The profits are used to cover the expenses of the monastery and its monks and whatever remains must be donated to good causes. 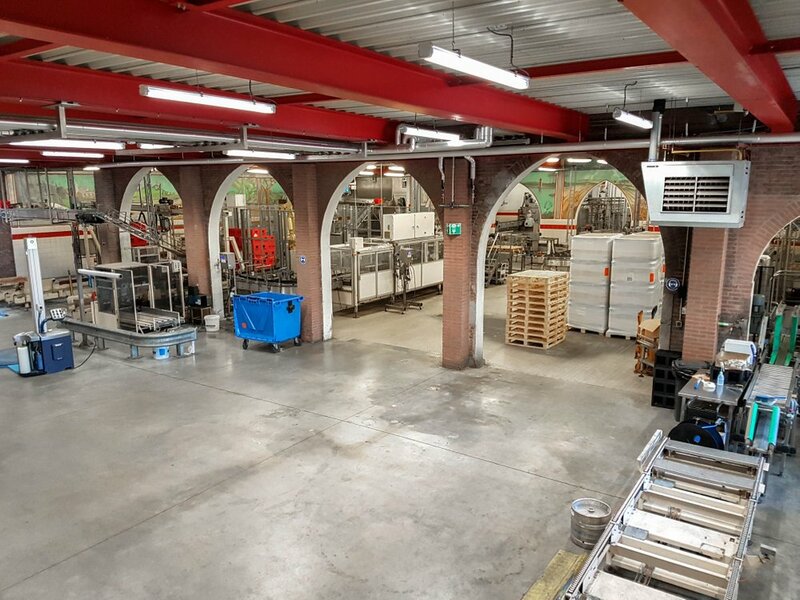 They are able to produce 9 million liter of beer each year. The money that the brothers currently earn is mainly used to renovate two local schools in Uganda and provide them with clean and safe drinking water. 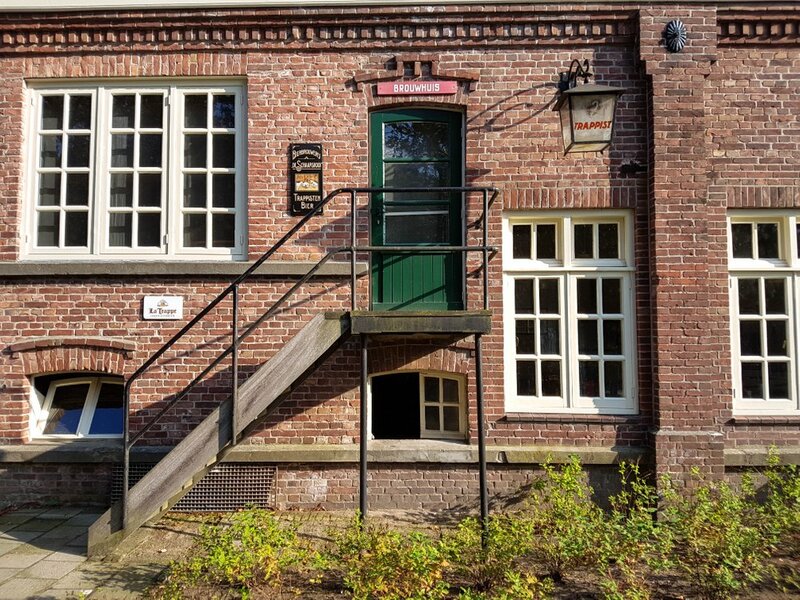 They also support several projects in The Netherlands. 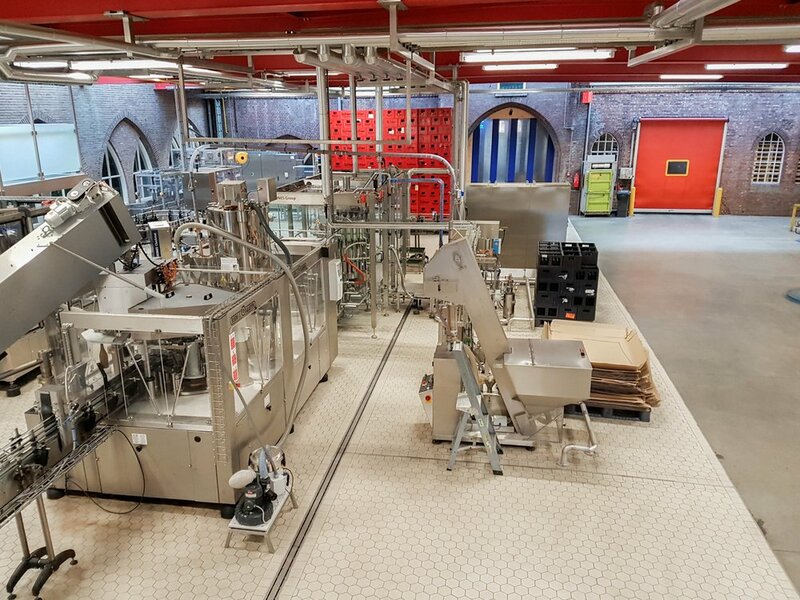 The brewery is open to public but it is usually not allowed to visit the abbey. 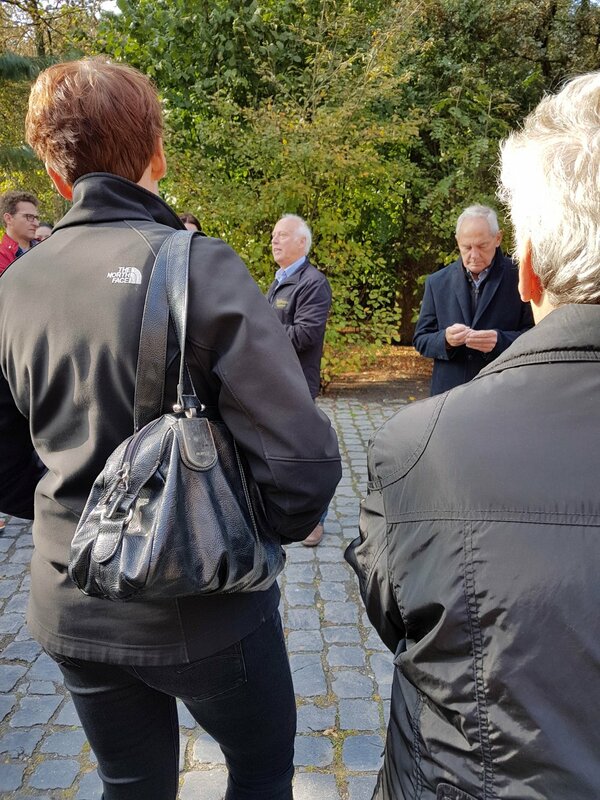 However after long discussions in advance, we were able to enter the abbey and meet one of the monks - brother Johannes. We were greeted by the Secretary who accompanied us to a room where we were supposed to meet brother Johannes. We were offered cookies baked in the abbey and a cup of tea. After a short while brother Johannes entered the room. He looked younger than I expected and his life story was fascinating. We had a nice chat and he told us a lot about the history of the abbey as well. After our discussion he led us to a chapel for their afternoon prayer. We walked through the part of the abbey that is only accessible to the monks. I can't even describe the tranquility that you feel in the abbey. It's almost surreal. In the chapel we found the other monks, big and small, young and old, fat and thin, everything was in between. After their prayers they quietly left the chapel and returned to their daily activities. 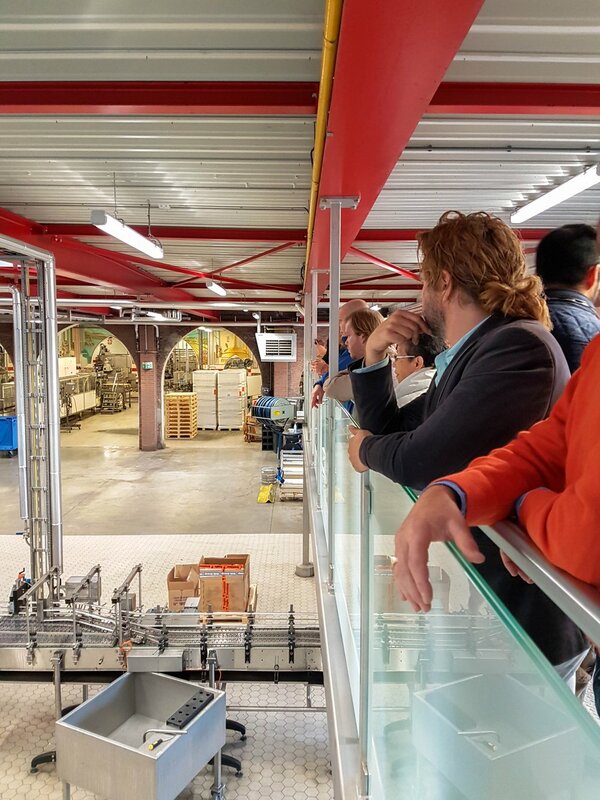 For us, it was time to leave the abbey and continue our tour with the excursion of the brewery. 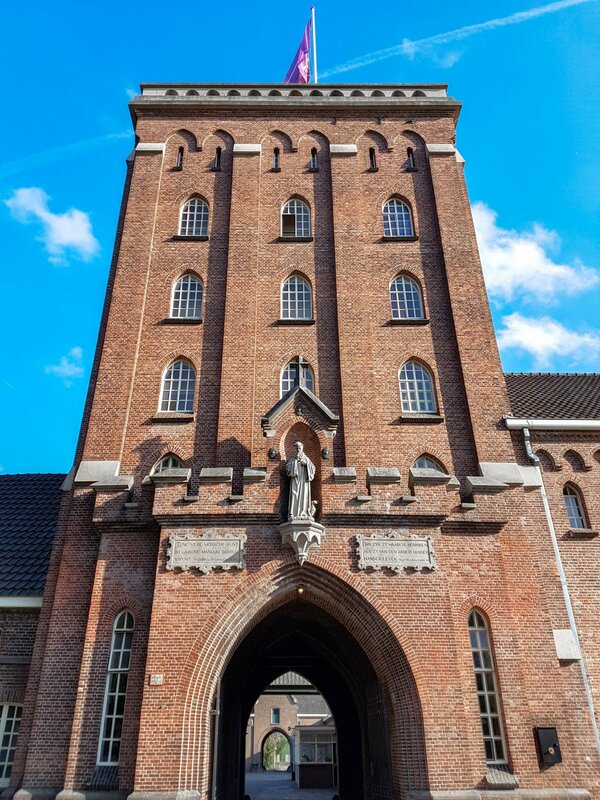 The abbey and the brewery were established at the sheep barn - De Schaapskooi. You can see this written next to the entrance to the brewery. 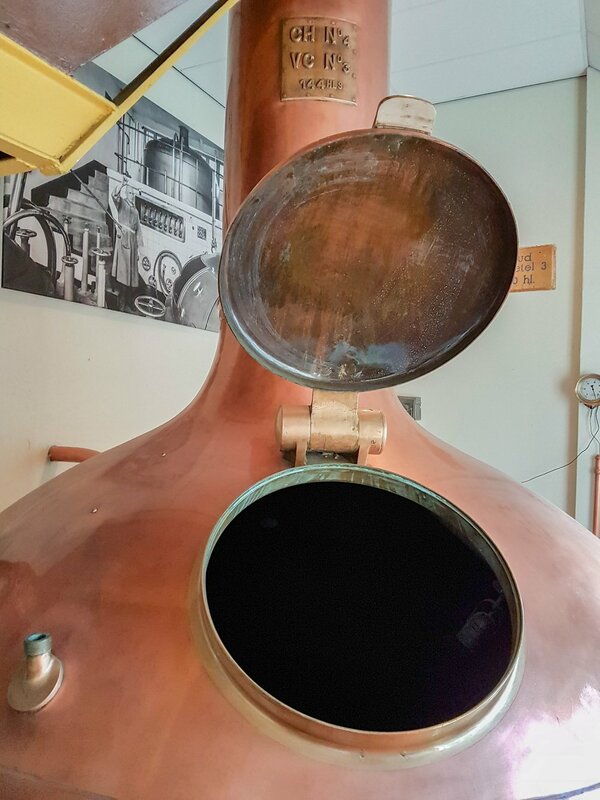 During the excursion of the brewery you will learn about the production process and you will understand how it was brewed in the past and how it is brewed today. The brewery was modernized in 1989. The old equipment had to be removed and replaced. 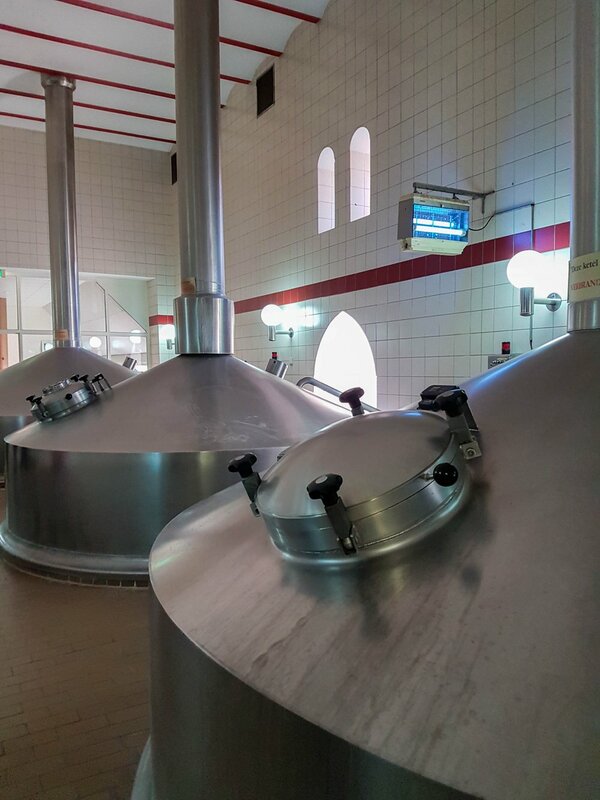 The monks use only local ingredients in the production process such as hop, barley and yeast. The water used for brewing is from their own spring. 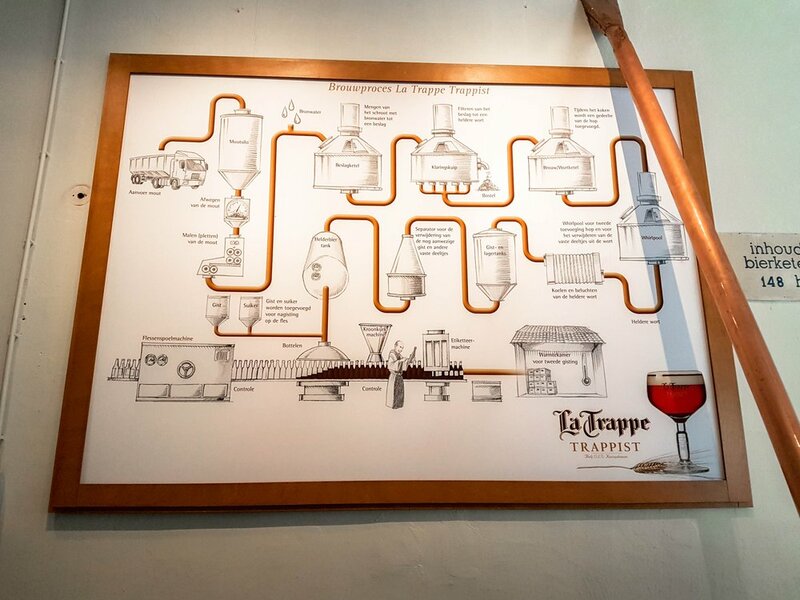 They produce nine different beers varied from La Trappe Puur (4.7%) to La Trappe Quadruppel Oak Aged (11%). The entrance fee is 12 EUR and you will also have a chance to watch a short movie about the abbey at the end of the excursion. During the movie you will be served one beer of your choice. After the excursion you can visit The Tasting Room and drink even more beer or you can visit Abbey gift shop where you can purchase various products made in different monasteries as well. I hope that you have enjoyed the tour! PS: All photos are taken with my Samsung Galaxy S7.